Age old question.. but after searching many forums and vids... I want to take a census on what others think that are familiar with the STOL planes. I want to get the most out of the STOL function for my FT Bushwacker plane. Currently I run Full (ailerons / flapperons ) for my plane. I'm considering going with the split flaps for the reason that I "think" this will enhance the STOL capabilities. I was going to do the barn door flap option similar to the E-Flite Timber with of course two or three degrees of flap before full 90 degree down. When I bring the plan in now with full flaps down which is about 35 degrees down, it can get really unstable and mushy.. I've mixed in down elevator to help with nose pitching up but I end up just powering up and coming round again with mid flaps for my landing as it's far more safe. I'd love to get it slowed down more with out giving up the control I have with mid flaps. What do you guys out there think... Should I give up the full length Ailerons? It's kinda nice to have for more aggressive flying manuvers. And before someone chimes in with a posts that you can set up flaps to move in conjuction with your ailerons to emulate full length ailerons..I'm aware of that. it's a great idea but that's only a possibility for those with the radio to do it. So for me it's an either or situation. I run separate inboard flaps which can be deflected past 45 degrees. On my previous version I tried the Flaperon approach initially but discovered that at stall the operation of the aileron function was extremely hazardous and often cause adverse yaw. I split the flaps off and went to using a large motor swinging a large SF prop. 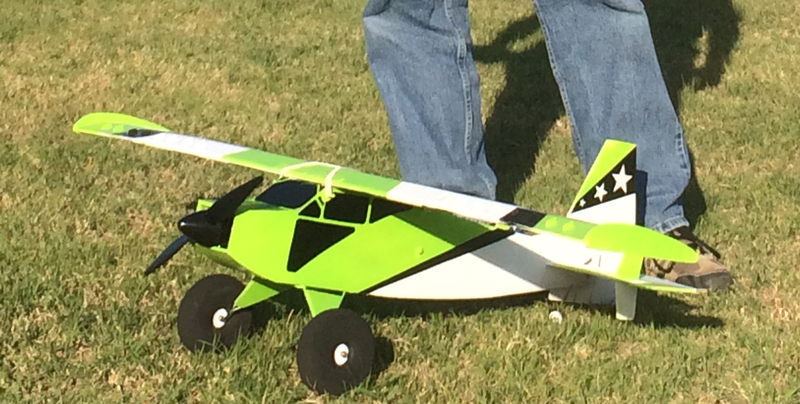 with the ailerons effectively out of the prop wash the roll control when very slow was marginal but the model has great pendulum stability and so unless the wind was up the landings required minimal aileron input. Having the flaps "Blown" gives me the advantage of being to provide airflow as the plane slows to around or below stall. Keeping the build light means that the flaps do not need to provide a massive amount of lift and so I can land around walking pace easily. In a breeze and using full flaps I can do low and slow passes with the nose up and the throttle controlling the lift! You can use a mix to give more elevator when the flaps are deployed but I do not as it is easier to keep the nose up with the throttle in the final approach using the throttle and the elevator at close to neutral, (my tail surfaces are also getting plenty of propwash airflow! For take off, if the flaps are fully deployed, the plane rolls a couple of feet and it is airborne and climbing out, (Nose high), at 45 degrees. I do need to push the nose down to gather speed or just a little to gain height rapidly. If using flaperons you need to keep the deflection angle moderate or the plane will almost invariably stall and crash if flown too slowly. 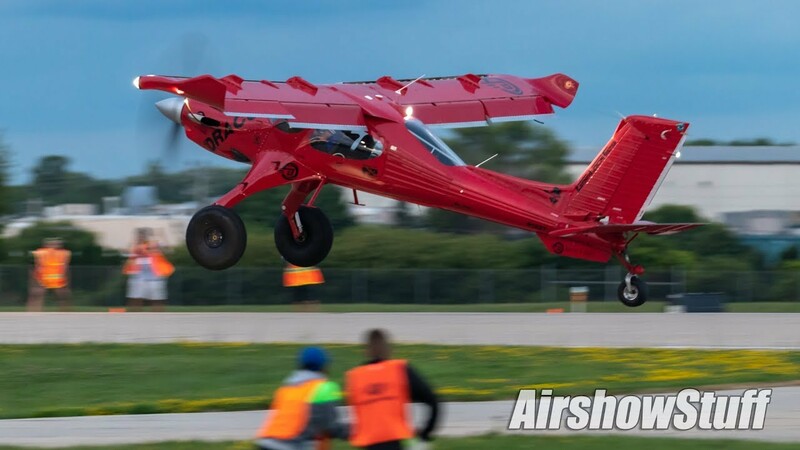 The use of SF props can really make a huge difference in STOL performance.
. And before someone chimes in with a posts that you can set up flaps to move in conjuction with your ailerons to emulate full length ailerons. If you use a Vtail mixer, you could have flaparons. Yes, a Vtail mixer is handy any time you want to do a mix. Even though my Tx can do all the mixes, I still find a use for the mixer. It comes in very handy when you wan to add a gyro or stability to a plane and still want mixing. Flapperrons, Elevions & Vtail are all possible uses of the mixer. There is a trap when using a cheap "V" tail mixer! You need to reduce the range of your input channels so that you do not drive the servos to 100% of travel too early. For instance if using a mixer and give full up elevator - both servos are at 100% and then you need to apply full aileron the servos will not drive to 200% of their travel. Yes the servo being told to go to -100% will still move it will only move to the zero position! Ideally you will need to reduce the channel output range in the TRANSMITTER to around 50% so that the mixer will provide the normal responses or outputs expected when setting up Elevons or the like! My bushwacker ended up being much more stable with separate flaps. I don't know if that's the case with everyone, as mine is slightly modified, but it doesn't tend to tip stall which I think happened due to the flaperons extending the full length which created too much drag on the edge of the wing. I had 2 Bushwackers with inboard flaps, and managed to land them fairly slowly if I felt like it. I don’t have em anymore because I had boatloads of trouble with the landing gear folding back and the foam around it getting soft and weak. How’s your lg fairing? Another thing that would help slow speed performance would be leading edge slats, but I do see that you already have vortex generators. "My Landing gear is as Tough as nails". I went with the idea of the tongue depressor stick behind the foam and cutting the foam on top and laying in the wire as described in build video for the bushwacker, but I further added my own strength to the landing gear. It's not a new idea but instead just emulating what already exists in real world with ARF expensive planes and full scale planes. The problem with almost all Foam board planes is that you can not rely on foam bracing to hold strong... it's FOAM!... so with all my planes I've added rear facing wire of the same gauge to support the main landing gear wire. It ends up being VERY strong, light and cosmetically I think looks cool. It adds almost no consequential weight as well. I was having the same problem as others prior to changing how landing gear is applied. It just gets loose even with good landing.. the ground is rough and bouncy on landing and takeoffs so it vibrates and crushes down the foam. The best way to fix that is the spread out the pressure to more points of contact so that the foam is used less. There are several ways you can attached the wire together. For me, I MIG weld it cause it's available to me, fast and easy. you can JB weld it, solder it, probably even zip tie it. If you JB it or solder it.. just make sure it has a about half inch's worth of wire that runs parallel to bond it together. Mine connects at a point because I welded it otherwise I would have done what I described above. For the trailing wires, just laying them in the same as the main wire.. poke a skewer hole for the little vertical part to up into.. them just helps them stay put while glue dries. after that.. it's good to go..
Nice! I just bought a durafly tundra so I’ll be busy with something non foam board for a while! I think I'm going to steal this idea. I've been flying a scout on floats lately (I have a thread on it somewhere) and I've been having the same problem you describe where the foam bracing is wearing out. This is obviously compounded by the moisture of the environment and the fact that the floats weigh significantly more than wheels would. I don't really want to build a new airframe so I've been trying to think of a good way to strengthen the gear. Thanks for this idea. You're welcome.. it's really worked out brilliantly for me. I won't do it any other way now. Switching over to inboard Flaps are SOOO much better than having the flapperons with this model. I can now slow my flight dramatically and maintain better roll control. Wtih the flapperons It was complete mush, but with keeping those wing tips out in the clear I can still influene the plane right up to the end. The great thing is that I didn't give up too much ailerons to the flaps. The plane is still very responsive. I should have done this right from the get go. 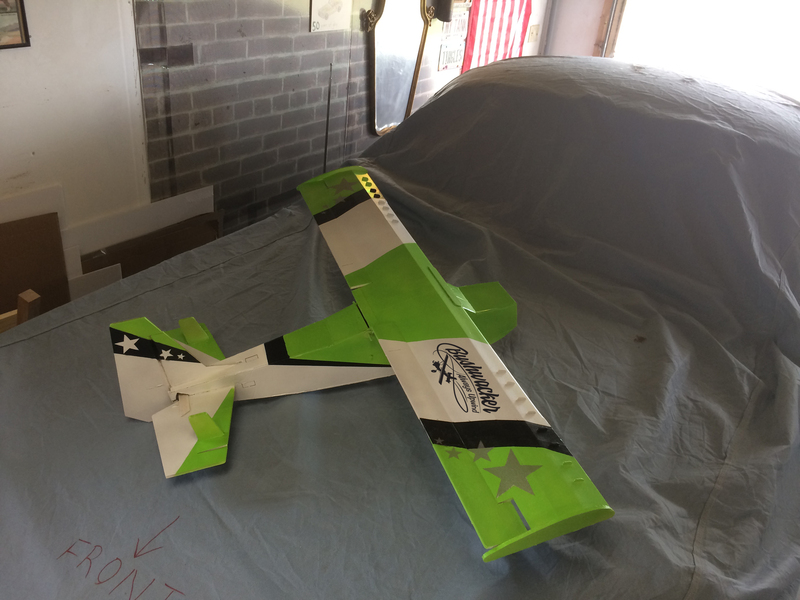 After flying the Bushwacker for a few weeks now, I think if I were to change anything on it, I would increase the chord to about 1.5 inches longer giving more lift and allowing to increase the size of the aileron/flap by 1/4 or more.. 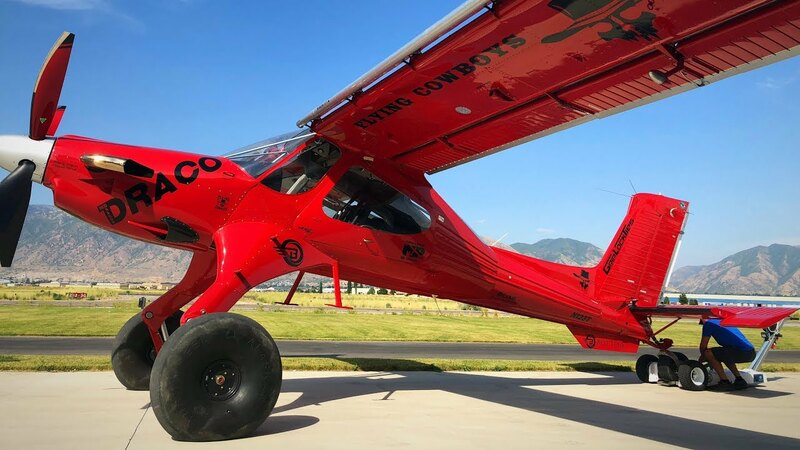 So I've been following this plane "DRACO" online as it's pretty popular in the STOL world full scale planes and I would love to build it out of Foamboard. Probably using the bushwacker as a base for the measurements as I've been happy with the size. With the new flitetest F40 techniques in creating the round fuselage, and forming it would be pretty cool to recreate this amazing plane with those methods. I would imagine that it would be very acrobatic in its Foamboard format with the control surface proportions scaled. The other thing would be to somehow capture the uniqueness of the landing gear.. not sure how I'd do that with just wire. Just look at those flaps and ailerons.. they are HUGE... the horizontal stabilizer! If I can find the time it'll be on the list of builds.